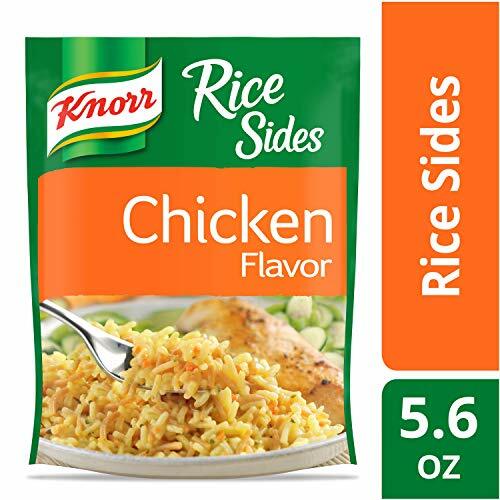 Treat your taste buds with Knorr Rice Sides Chicken Rice (5.6oz). 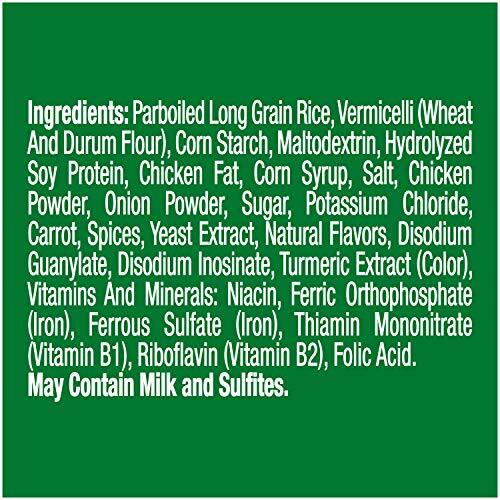 Our rice & pasta blend expertly combines onions, carrots, garlic and parsley beautifully with the mouth-watering, chicken-flavored sauce . Our deliciously seasoned Rice Sides are great as part of a delicious main dish or as a standalone side dish. Make Knorr Rice Sides the foundation of a crowd-pleasing dinner. 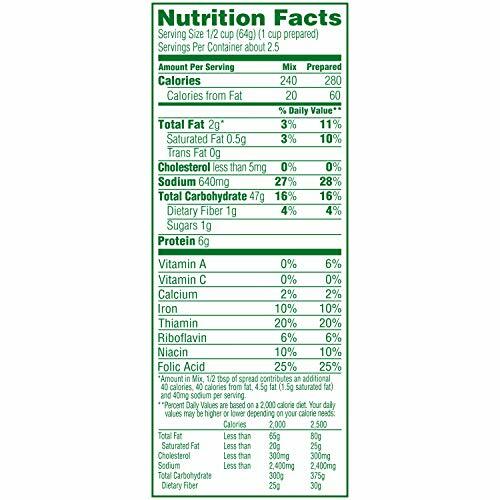 Your family is sure to love the mouth-watering, chicken-flavor of Knorr Rice Sides Chicken Rice (5.6oz). On top of tasting delicious, our rice dishes are quick and easy to prepare. Knorr Rice Sides cook in just seven minutes on the stovetop or microwave. 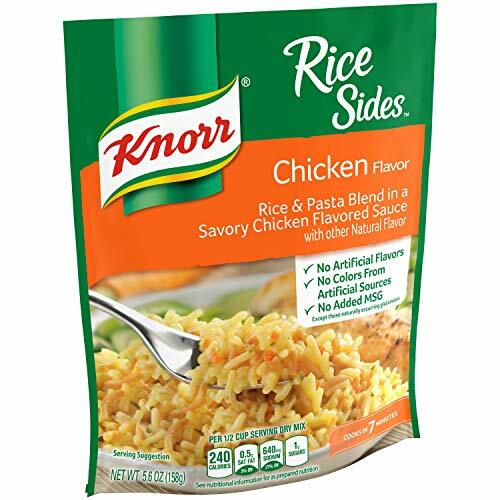 Knorr Rice Sides have no artificial flavors making it an excellent choice for creating a family-favorite meal. Use Knorr’s easy rice side dishes to create a mouth-watering main dish. Simply prepare Knorr Rice Sides and add your favorite meat and vegetables to make a dinner your family is sure to love. 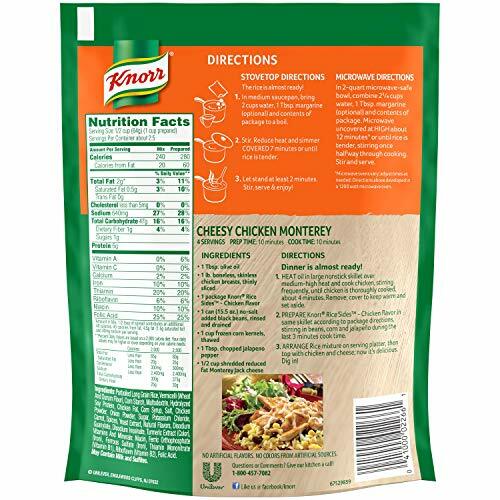 You can find great recipes from Knorr like our chef-inspired Cheesy Chicken Monterey recipe — simply add chicken, green chilies, and Monterey Jack cheese to turn a side dish into a cheesy entree. Discover more quick and delicious dinner ideas at Knorr.com. There are hundreds of recipes to help you find dinner inspiration. Knorr also has Pasta Sides, Fiesta Sides, Italian Sides and more. 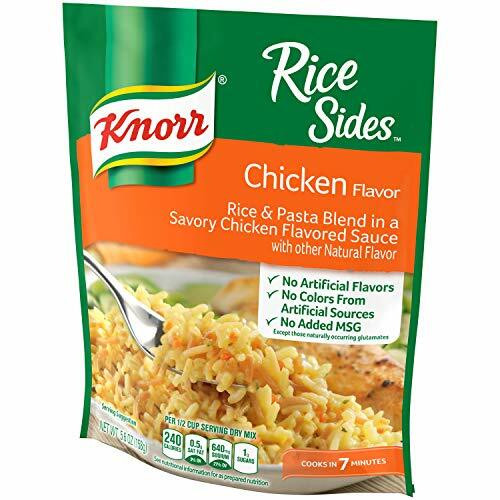 Knorr offers more than 40 varieties of rice and pasta sides so you can be sure to find flavors your family will love. Knorr believes that good food matters and everyday meals can be just as magical as special occasions. 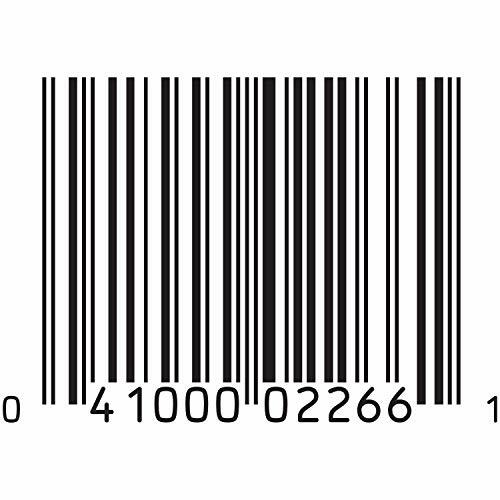 Knorr products owe their taste and flavors to the culinary skills and passion of our chefs. 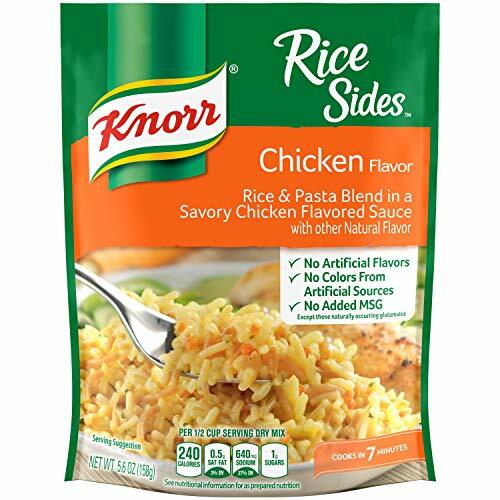 Knorr sources high-quality ingredients to create delicious side dishes, bouillons, sauces, gravies, soups and seasonings enjoyed by families everywhere.Knorr Sides Chicken Rice (5.6oz) is a rice & pasta blend side dish that enhances meals with amazing flavor.